More like personal sketches for piano than traditional, structured songs, the music of Melbourne-based Australian artist Marcel Heah plays like a poetic soundtrack to the world’s tangible and intangible elements, and nowhere is this more brilliantly enacted than on his album, “Travelogue”. There are wondrous, beautifully understated melodies here, but what’s amazing is Marcel’s intense inspiration that spills from his spirit and flows straight to the keys. He uses simple techniques that are not meant to impress the most intellectual of music critics but are woven to bring any listener with an open heart to emote. Affecting and full of motion, his piano urgently rolls through songs like white willow leaves fluttering in the wind. From the first sparse, tinkling notes of “Architectures”, Marcel Heah pulls you into his solitary dreamscape and doesn’t let you go until the album’s end. In between you will be enchanted by a few scattered apparitions of strings and what sounds like an accordion, but for the most part, center stage belongs to Marcel’s keyboards. During “Fluorescene” it’s hard not to imagine standing in a dark, expansive night while staring up at stars glittering in a sky. Another standout, is “Cherry Light” which sounds like an archetypal of Heah pieces. Beginning with deliberate chords, the piece jumps into a chiming complexity that grows until the listener is drenched in streams of melodically dripping, watery notes. 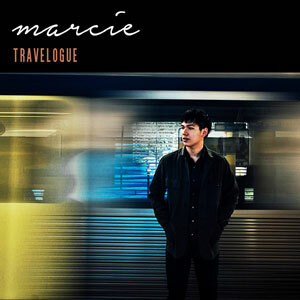 It’s fitting that Marcel Heah named this album “Travelogue”, because the music couldn’t take you to lovelier places. If you want some mood-painting music, then I would certainly recommend “Troubled” which has an escalating and interchangeable arrangement. There’s a certain simplicity in any art that it takes a master to achieve. It also takes a confident artist to be able to strip down a song, and still have a complex and lingering effect, or to create songs that draw from classical traditions, but also the beautiful and deceptively simple elements of ambient or new age music. So by the time we reach “Her Waltz” and “Dotted Rain”, we are assured of Marcel Heah’s ‘matured’ artistic and performing qualities. 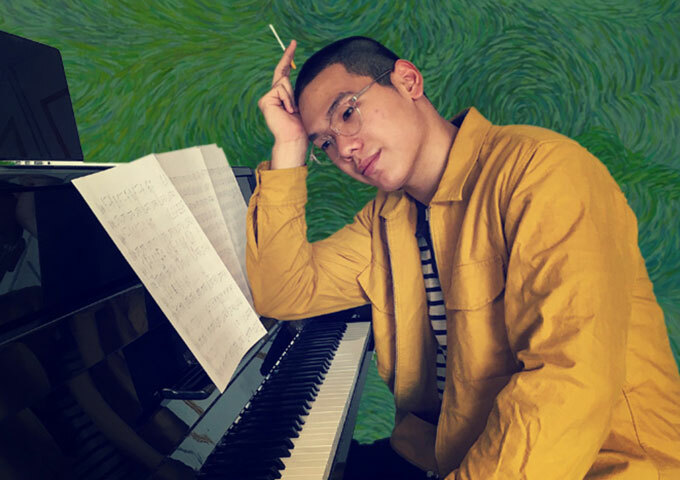 His music sounds distinctly urban, with its smooth sonorities and delicate textures, but it evokes a sense of the rural and the vernacular in its sense of suspended time, of burbling placidity that flows like a brook rather than marching like a fugue. This is especially true of “Louie the Golliwog”. Marcel’s music sounds so spontaneous, that while listening to a sprawling piano piece such as “Dance of the Shadows”, a question comes to mind: Are his solo-piano pieces mostly composed? Or are they constantly changing improvisations built around a certain recurring set of chords? Either way, what elevates Marcel Heah music above the level of your average modern pianist and makes it more than just background noise, is the excellent ability he has to create a mood throughout an album. “Travelogue” takes the listener away into an aural landscape of distinctive beauty. That he is able to do this with nothing other than his piano is simply amazing. And he continues to give proof of his performing ability on “Sun’s Out” and the album closer “An Island, Both Seas Sleep”, with its rollicking keyboard runs. Marcel’s impressions of traveling are full of slow chording and flowing melodic runs on his acoustic piano. He captures the feelings of both its flaring departures and its gradual returns…and everything else in between.